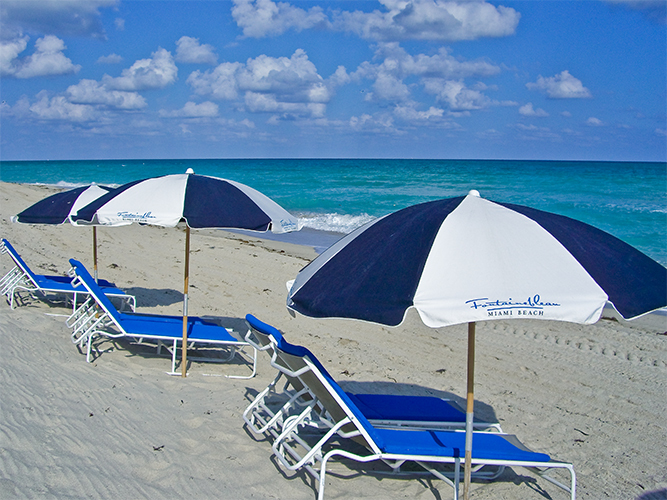 Boasting the largest beach of any Miami resort, you will have plenty of privacy at the Fontainebleau. Wait staff will keep you comfortable with food and beverages on the beach. Umbrellas, chairs, cabanas, parasailing and jet skis are available for rent, right on the beach. Complimentary sand pails and shovels are available so your children can build sandcastles. The resort is on the boardwalk, so you can walk to a number of nearby restaurants, and if you are ambitious, walk a little further to South Beach for more dining & shops. 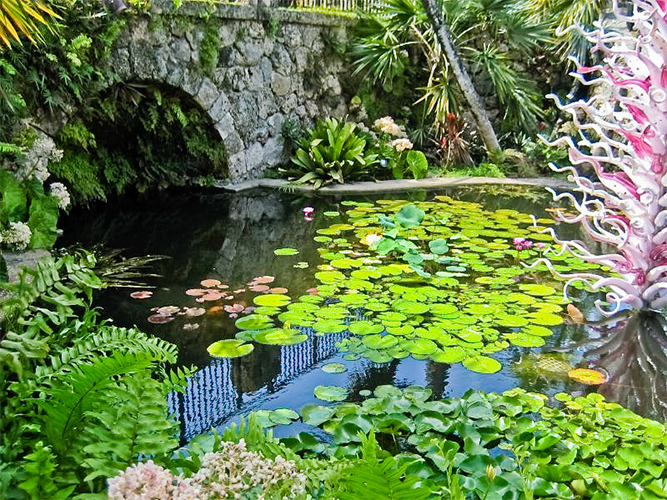 Fairchild Tropical Botanic Garden is worth a visit if you love beautiful gardens. The path is easy to navigate, and you’ll walk alongside ponds and lakes as you stroll through the gardens of tropical plants, towering palms, cycads, flowering trees, vines and fruit trees. The Everglades is full of gators, egrets and other exotic creatures. A little more than one hour from the hotel and you will be immersed in the famous jungle swamp. Bike trails, walking trails and airboat rides all are good ways to traverse the everlasting glades! For those who like a little entertainment with your wildlife, try Parrot Jungle to see gators, jungle cats and birds. The shows are terrific and well worth the price of admission. For aquatic shows and sea life, head to Sea World near Key Biscayne to see whales, porpoise. 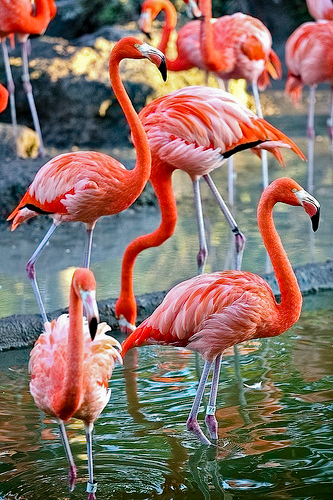 And, finally, the Miami Zoo is always a treat for wild animal lovers. A stay at the Fontainebleau is the perfect way to start or end your cruise vacation. 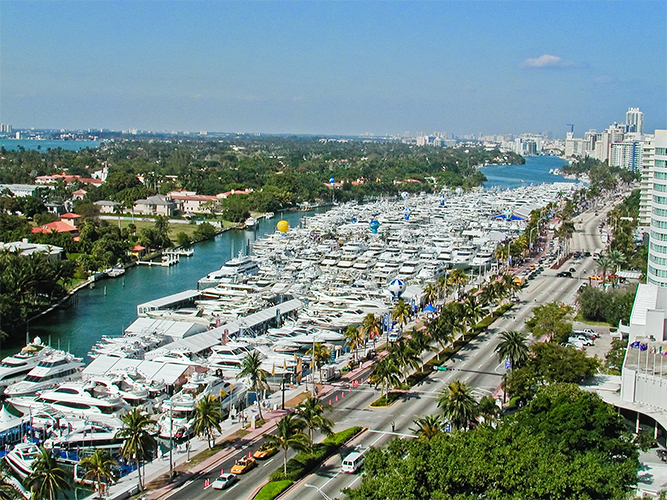 Our Trésor unit overlooks the multi-million dollar yachts on the Intercoastal during the world renown Miami Boat Show. There are also all classes of yachts for rent, from a yacht broker at the resort. The concierge can also arrange exciting boat tours of Miami’s Intercoastal waterway, Star Island, Hibiscus and Fisher Islands. 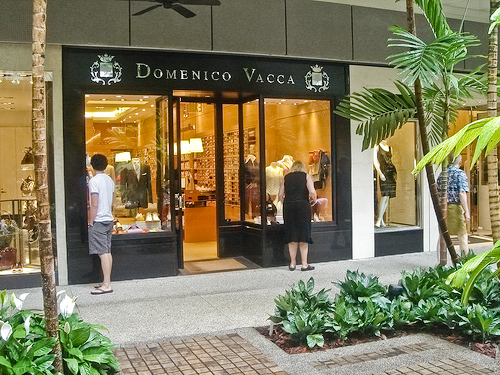 Lincoln Road is our favorite place to stroll and shop. It has oodles of unique boutiques and cool restaurants, sidewalk cafes. For upscale shopping, Bal Harbour Shops is where celebrities go for designer duds and glitzy jewels. Not far from the resort is Turnberry’s Aventura Mall for movies, dining and a great variety of stores. The Miami Design District is a wonderful place to shop for contemporary furnishings, hardware and home décor. The LIVE nightclub is a very popular attraction at the Fontainebleau. You won’t need to leave the hotel to partake of the best nightlife in town. 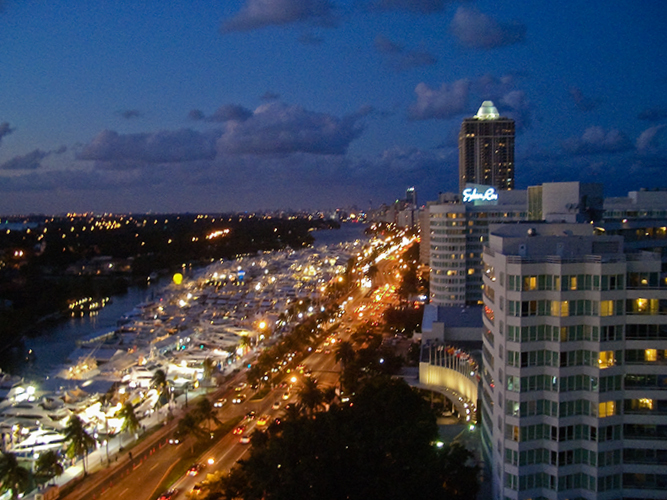 Miami Beach comes alive from 10pm until dawn. A vibrant club scene attracts the jet set from around the globe. See the hotel concierge to find out what’s happening after dark.